Regular cat cafes, move over. 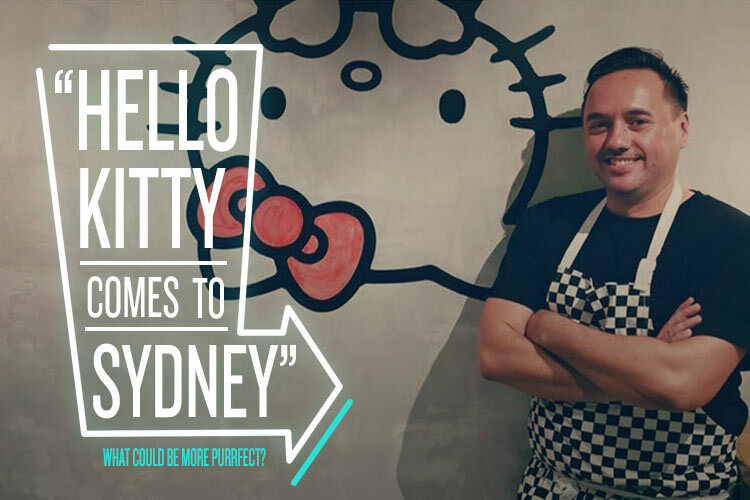 It’s time to get your feline fix at the Hello Kitty Diner, recently opened November 1 in Chatswood. What started as mid-70s design to sell plastic purses, Hello Kitty has now spawned countless products from clothes to dolls to stationery, TV shows, computers, guitars, commercial airliners, and even Hello Kitty-themed bank accounts and credit cards (we still like the purses though). Modelled on a traditional American-style diner, the fun, fluorescent pink milk bar is set to deliver on the food front with acclaimed chef turned burger baron, Warren Turnbull masterminding the menu. Turnbull, the founder of renowned gourmet burger chain Chur Burger and the now defunct high-end Surry Hills joint, Assiette, brings considerable experience and an impressive culinary pedigree to the table. With burgers all sitting around the $12 mark and snacks cheaper still, a pit stop at this bastion of kawaii will go easy on the hip pocket. Drinks are confined to the non-alcoholic end of the spectrum – think milkshakes and soft drinks. If you’re looking to bring your brood of ankle-biters along, there is a very reasonably priced children’s menu for them to choose from. Speaking of choosing, while the ‘Miss Ebi’ prawn burger garnered rave reviews and ‘The Maple’ burger’s pork belly was crispy and succulent, we couldn’t go past the ‘Gee Gee’ Korean fried chicken burger with pickled vegetables and cucumber kimchi. Pawsitively delicious.